One of the most fundamental areas of the Montessori environment is practical life. This is the area in which children learn the fundamentals that prepare them to use all the other Montessori materials in the classroom. Activities such as sewing, gardening, pouring, scrubbing, practicing grace and courtesy are all a part of practical life. The direct aims of these activities are to fulfill their needs of order, concentration, co-ordination and independence while strengthening their fine and gross motor skills through jobs such as grasping, pinching, and tweezing. 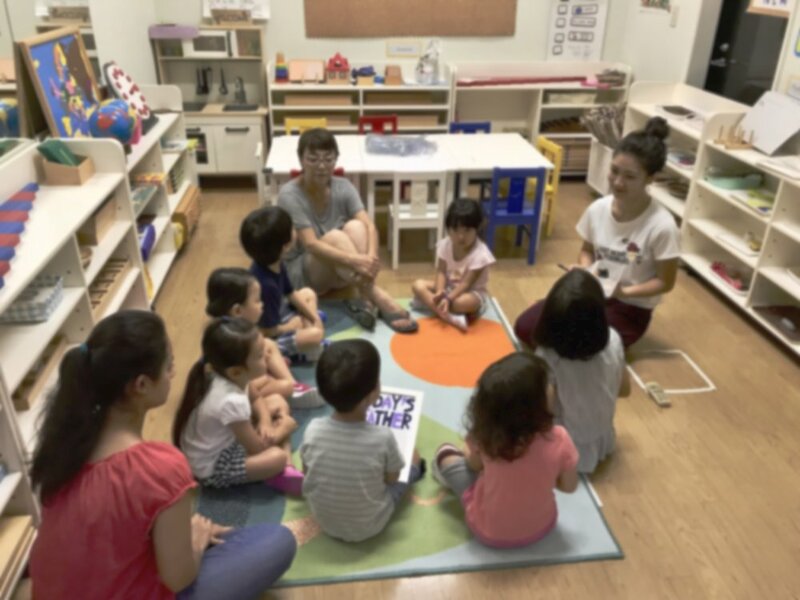 At Sakura Valley Montessori Pre-School, all of our lessons will be conducted in English. 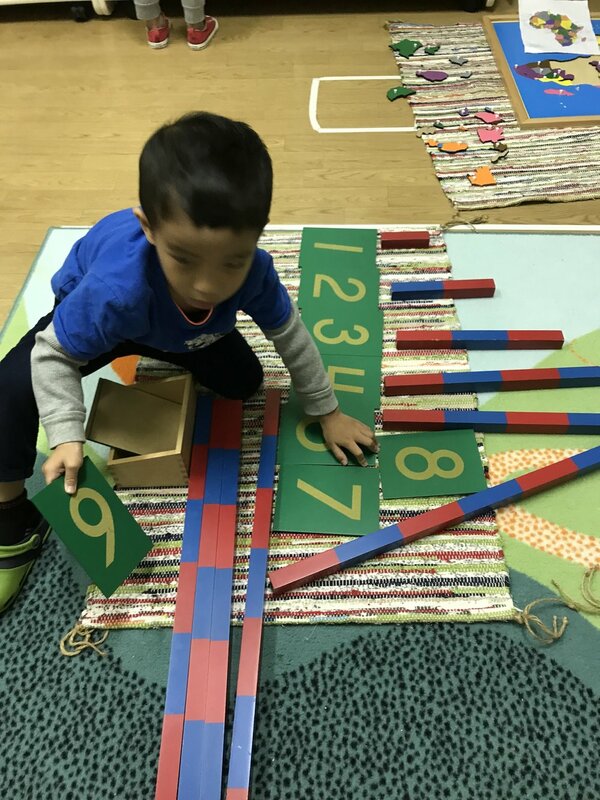 Montessori's materials are created in a specific scope and sequence; first by teaching phonetic sounds, and short words, followed by strengthening of the hand muscles and other various Montessori activities, which will eventually "explode" into the reading and written language. Some Montessorians believe that cosmic education cannot be taught in a 3 - 6 classroom but cosmic education is the idea that all things in the universe are connected and everything has its place. Geography, science, and cultural education all teach children this idea. One of our goals at Sakura Valley is to help children become global citizens of the world and there is no better way than to teach them about different cultures around the world and learning that we are all a part of the universe. Children between the ages of zero to six are specifically sensitive to exploring the world through their senses, thus this is the perfect age to provide the children with materials that help refine these senses. 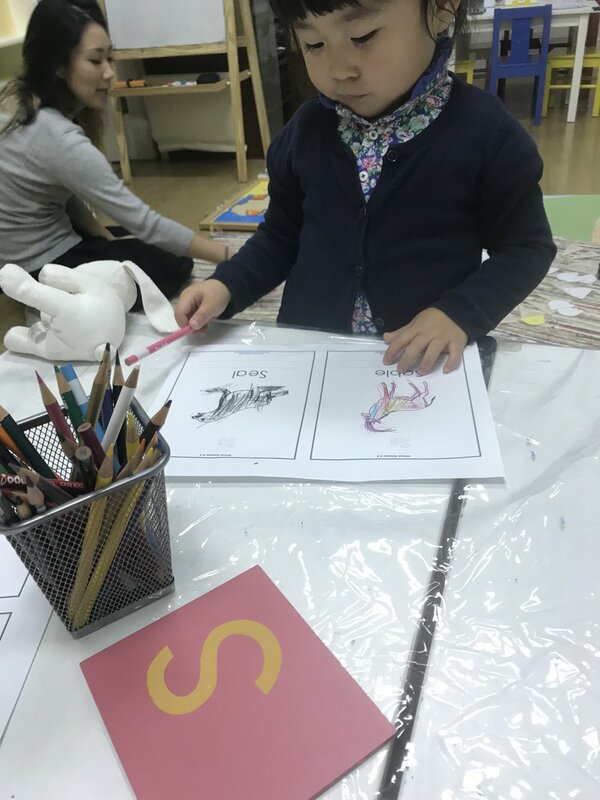 Maria Montessori's materials are carefully crafted to help enhance the children's senses while indirectly preparing them to explore all the other materials in the classroom. Children develop the mathematical mind through all of the areas in the classroom as it is set up in a specific order and they help with the children's ability to concentrate, classify, and organize. The math activities in the classroom start out with concrete concepts in which children learn ideas through their hands on experience, all the while preparing them to learn more abstract ideas. Children move at their own pace and there is no forced memorization or forced repetition. Children will continue to work with the materials until they feel confident enough to be introduced to the next steps.